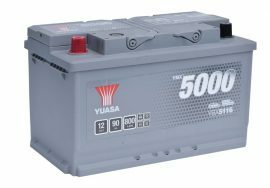 GS Yuasa Battery Europe Ltd, the world’s leading battery manufacturer, has announced the introduction of seven new Yuasa automotive batteries to its market-leading, Original Equipment (OE) quality YBX range. The new additions provide a significant increase in coverage of the European vehicle parc. 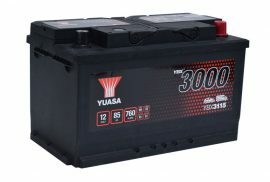 Now available to the aftermarket, the seven new batteries expand Yuasa’s YBX3000, YBX5000 and YBX7000 offer. Together they increase parts coverage by over 50 additional vehicles with a combined population of over 200,000 passenger cars in the UK. The popular YBX3000 battery series, which offers up to 30,000 starts, has seen 5 new references introduced: The YBX3750 and YBX3780 satisfy the demand for BCI standard front terminal type batteries that are popular on a wide range of American vehicles; The YBX3214 and YBX3205 are unique to numerous Korean-built Chevrolet, Kia and Hyundai models; whilst the YBX3115 expands GS Yuasa’s coverage in popular VAG, BMW and Volvo cars. The YBX5116 has also been introduced to Yuasa’s premium quality YBX5000 series. This Layout 1 L4 DIN battery provides up to 50,000 engine starts and satisfies unique requirements of some Chevrolet Captivas & Vauxhall Antaras. Finally, the YBX7019 was introduced to the YBX7000 EFB range to meet the demand of an increasing number of VAG models that employ L5 DIN EFB batteries in premium Start/Stop models.